ESS Making pH neutral Cleaning Products Since 1993. We are "The Neutral Solution"
Full line of urinal and janitorial cleaning products designed specifically for low flow flush urinals, it could also be used in regular flush urinals as well. NEUPRO™ LARGE All Purpose and Hand Wipes are sold in a 75 count dispensing container Excellent LARGE textured fabric cleaning wipes can be used safely on multiple surfaces including equipment and hands. TOUGH on cleaning but gentle on hands, surfaces and sensitive equipment. Saves time, money and water on clean ups! Neutral cleaning options for metal parts, dunnage, floors and equipment. Products are available in 40 lb pail, 450 lb drum, and 2300 lb tote quantities. You have probably heard about pH neutral cleaners before, but what are they really and how are they used? Interested in the safety and environmental advantages of neutral cleaners for your home? NEU Homecare may be for you. 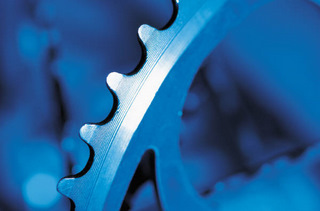 Distribution and manufacturer representative opportunities and territories are available. Interested in selling neutral cleaners? Since 1993, ESS, Inc. has developed and produced safer and more environmentally friendly cleaning products for industrial, commercial and consumer applications. Cleaning does not have to be hazardous. With neutral cleaning technology, hazardous cleaners are now virtually obsolete. 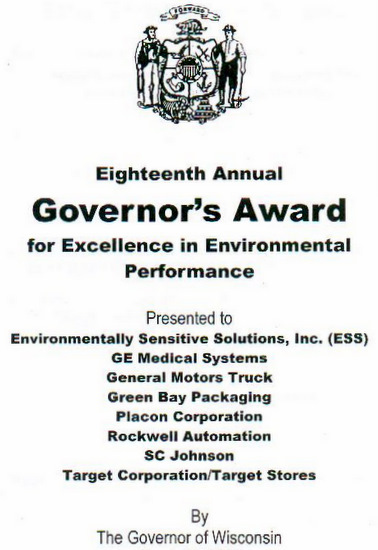 Since 1993, Environmentally Sensitive Solutions, Inc. has developed and produced safer and more environmentally friendly cleaning products for industrial, commercial and consumer applications. 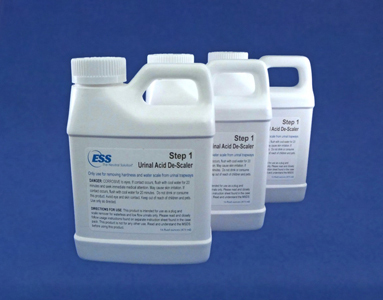 ESS was founded by an experienced cleaning formulation chemist with a simple goal: to replace existing hazardous cleaning products with safer, more environmentally friendly options. 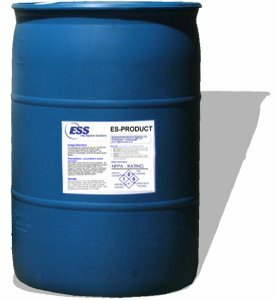 Back in 1993 when no one new what “green” cleaners were, ESS was replacing hazardous, corrosive alkaline cleaners used in process parts washing. 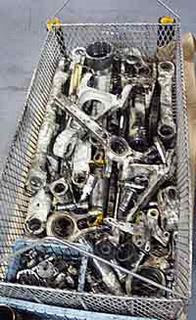 No one really cared how safe and environmentally friendly they were if they did not adequately clean parts at a competitive price. If process parts could not be painted or plated or boxed because they were not clean enough, it did not matter how environmentally friendly the cleaner was! 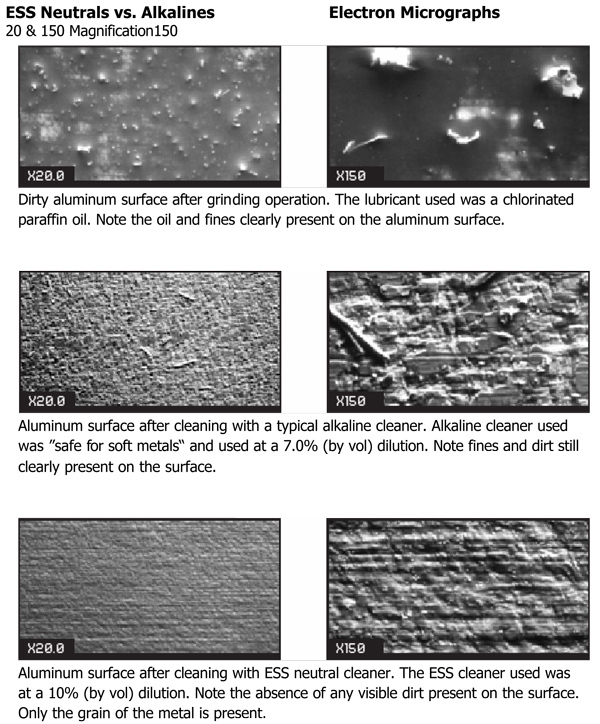 Neutral pH cleaning products for washing metal parts, floors and equipment, as well as other related applications. 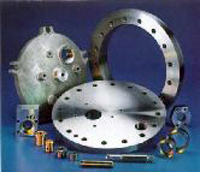 Please contact an ESS technical representative or distributor for pricing information. As always, please read and understand the Material Safety Data Sheet (MSDS) before using any chemical product. Products for use with waterless and low flow flush urinals, as well as a full line of janitorial cleaning products. Want to offer neutral cleaners? 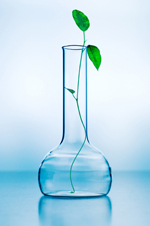 Super concentrates makes it easy for manufacturers to offer neutrals. ESS Super Concentrates allow manufacturers to offer ready to use pre-formulated neutral products that have a proven track record that can be private-labeled and offered for sale. 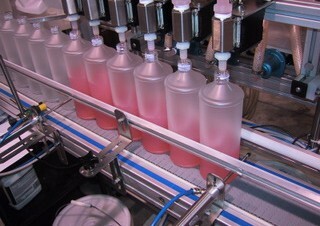 With capabilities to package 4 oz bottles up to drums and totes, virtually all ESS products can be private labeled. I tried a couple of the products recently. They worked great! In particular, the bathtub and tile cleaner cut through the crud on my acrylic tub and left the tiles sparkling. And not a single cough!